Are we looking at the first dndnext adventure? There’s no system in the product description, but it’s fair to say that 4e is dead when it comes to product releases… Interesting times…..
35$ for some GM Screen plus adventure?!? Seems it’s not only the next D&D but the next (and last?) money cow, eh? They said this was coming at Gen Con. This will be released to have us determine the future of the Forgotten Realms. 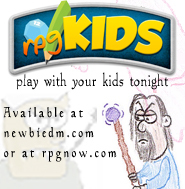 It technically isn’t a DnD Next product because it’ll be released before the playtesting phase is over. I looked at the contents, and holy cow. The book that is simply description of the city is twice as big as the adventure (which is fairly big in its own right). Plus the screen is geared toward the adventure, which should be interesting. I bet it works as a nice example of the kind of notes a DM should keep handy during games. Also, its supposedly ‘hardcover’ which might help justify the price. It is more of a mini campaign setting than an adventure, and just like their Menzoberranzan product, it could be edition neutral. My money is on that, at least. No, this is the first of two (or three?) Sundering adventures. WotC has you play it and send in feedback of what happened so they can shape the world around what the players did. If it is just a mini campaign setting, then why is there a 32 page adventure in it? Sure, the setting material is twice as big, but that’s just so people can play the adventure better. And so it will be playable in 1st, 2nd, 3rd, 4th, or D&D Next editions? Be interesting if that is true and even more interesting if they keep tabs of how many of each edition is played and what the results are across the editions. That sounds exactly like the other 4e adventures with a folder and some fluff description of the city instead of the separate adventure & encounter books. Any bets that the location (Baldur’s Gate) is to tie into the recently re-released video game and the ancient evil is Bhaal? I believe it is safe to assume it will be a 4e adventure with optional 5e conversion. Here’s hoping, at least. That would be a good move from WotC, extending an olive oil to all those 4e fans who are feeling betrayed. Well, think I will hang back with 4e.